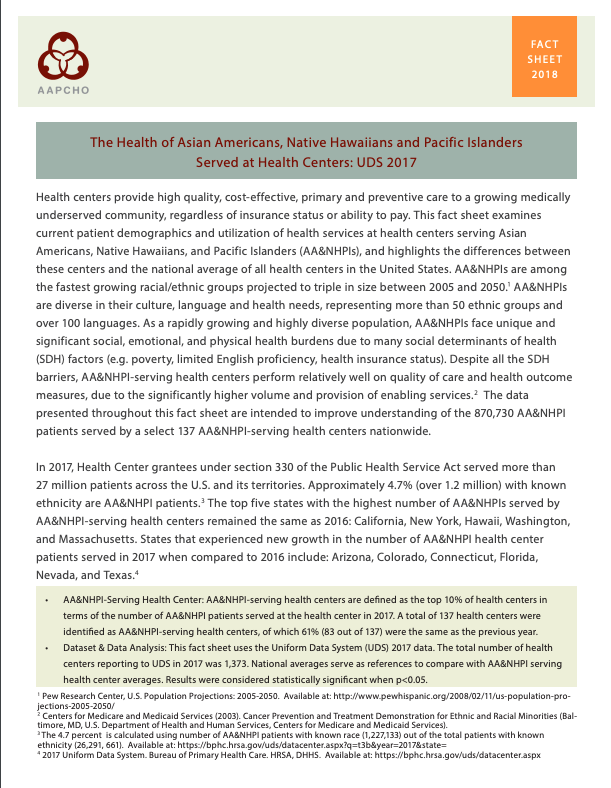 This fact sheet examines current patient demographics and utilization of health services at health centers serving Asian Americans (AAs), Native Hawaiians and Pacific Islanders (NHPIs), and highlights the differences between these centers and the national average of all health centers in the United States. The data presented in this fact sheet is intended to improve understanding of the AA and NHPI communities served by health centers, and to help identify priorities and opportunities to improve AA and NHPI health. Download the 2016 Fact Sheet here.